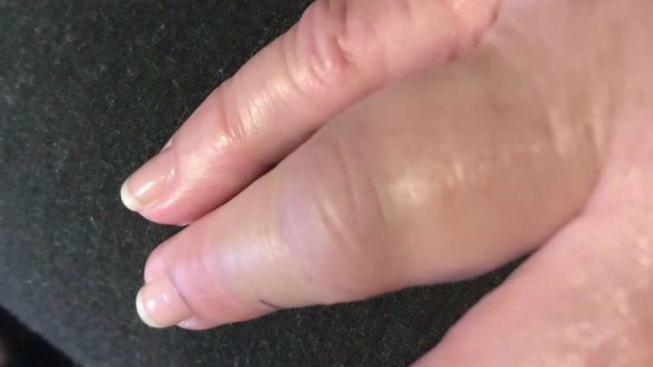 A woman who was videotaping inside a family courthouse in San Jose is claiming that a Santa Clara Deputy broke her hand during a confrontation. In the video, a sheriff tells Susan Bassi to stop recording inside the courthouse and after four attempts at enforcing a no videotaping rule, the sheriff tries to grab her phone. According to Bassi, she started recording because deputies were surrounding one of the men she was with and started telling him not to take pictures of documents. "I was in the file room doing research," said Bassi. "I saw an incident happen and I thought it was police misconduct. I believed it was newsworthy, and I turned on my recorder." A sheriff's department spokesman declined to speak on camera but did tell NBC Bay Area that the deputies were only trying to enforce a standing order by the lead judge of the family court against taking pictures or video. According to the sheriff's department spokesperson, deputies told Bassi about the order before, but she says it was selectively enforced. "Today was adoption day and up in the eight floor there were people with their phones out recording all over," said Bassi. "So they're selective on who they apply the recording rule in the courthouse." The sheriff's spokesman said they're still investigating if Bassi violated the judges order against pictures or video inside the courthouse. "The reality is, the sheriff broke my hand when I was trying to record what their sheriff was trying to do to a dad in their courthouse," said Bassi.